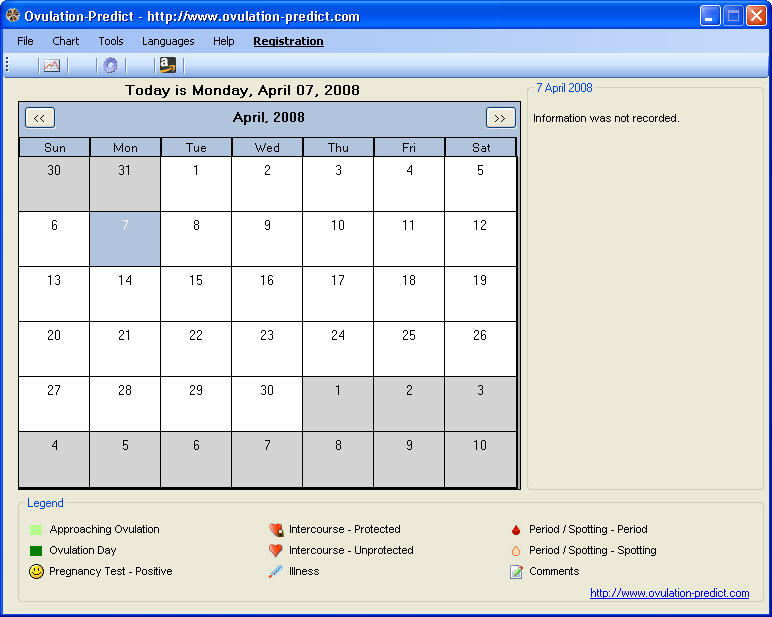 An ovulation calendar-calculator specially designed for those women who are practicing Natural Birth Control Method. Ovulation-Predict - is an ovulation calendar-calculator specially designed for those women who are practicing Natural Birth Control Method (also known as Fertility Awareness Method). The program works as a calendar which records and processes your the most important fertility signs: basal (waking) temperature, cervical fluid and cervix position (can be optional). Ovulation-Predict is an ovulation calendar-calculator specially designed for those women who are practicing Natural Birth Control Method. Eye Care - protect your health from computer influence by locking your computer and forcing you to take a 5-minute break every 30 minutes. Workplace Angel - Workplace Angel reminds you to make pauses in your work and helps to adjust workplace for comfortable and healthy working.